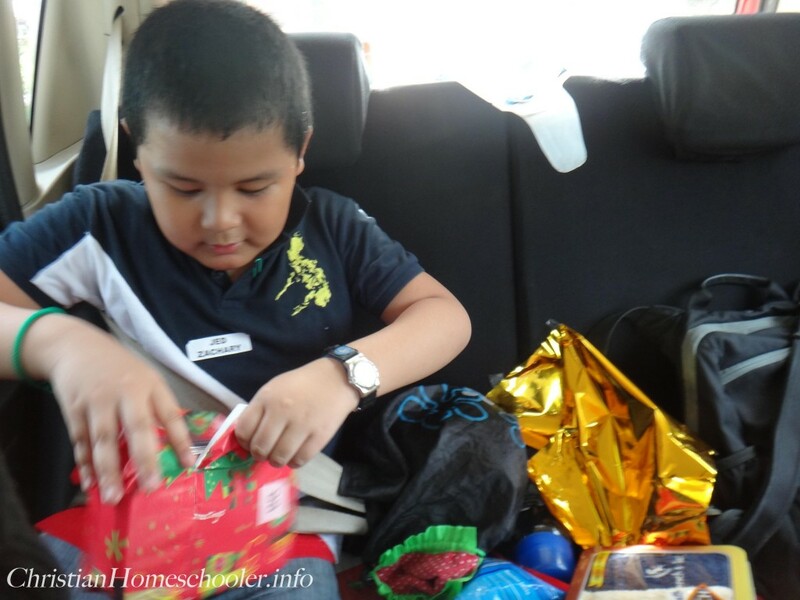 The very first task our very eager homeschooler got down to doing when we got to the car from the annual homeschoolers fellowship I previously blogged about, was to open all the gifts we received from School of Tomorrow and from the exchange gifts we received. In exchange for the stuff we brought with us (a good elementary Math exercises book, a sideways cross bracelet and a branded sunblock), we got a food storage container, a nice devotional book and a pair of hand towels. More than these gifts, we are to remind ourselves who the Reason of the Season is.